The international expressway linking many countries in West Africa is still on track. Vice President Yemi Osinbajo pledged the commitment of the Federal Government to the realisation of the Abidjan-Lagos corridor Expressway development and its completion on schedule. Osinbajo made the pledge at the 9th Steering Committee Meeting for the Abidjan-Lagos Corridor Highway development on Friday in Abuja. He said that the Federal Government was excited over the opportunities provided by the project to small businesses, adding that when completed, it would constitute the primary driver of economies of the sub-region. According to him, the development of the corridor will hopefully set a stage for the formalisation of the vast informal economies that exist in and around countries of the region. “We may live in different countries, speak different languages, spend different currencies but we share a common history, goals and aspirations. 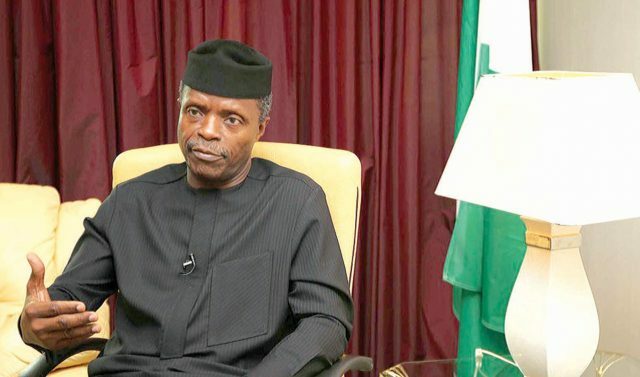 Osinbajo commended the commitment of development partners including the African Development Bank, Japan International Corporation Agency (JICA) and other financial institutions to the realisation of the project. He urged members of the Committee to also deliberate on ways to promote unity, peace, good neighbourliness, security and rule of law within ECOWAS and the African Union.